This Saturday, May 17, from 1-4PM, Colorado Cider Company will host a membership rally for the Boulder, Colorado-based American Homebrewers Association (AHA) with tours, tastings and education. That’s good news to brewer-turned-cidermaker Brad Page, the founder of Colorado Cider. The event will feature tours of the Colorado Cider facility, samplings of the company’s creations, educational info on cidermaking, local food trucks and cider-minded fellowship. Admission to the event is free for current members of the AHA who can RSVP and get more details by visiting the AHA website. Non AHA members can attend this event as well but are encouraged to become members of the association by visiting the AHA website’s membership page or signing-up at the rally. Page is one of a small number of US brewers who’ve made the jump to the cider side. He was one of the first brewers for Wynkoop Brewing Company when it opened in 1988. In 1989, he became the brewmaster and a founding partner of CooperSmith’s Pub & Brewing in Fort Collins, Colorado. Brad and his wife Kathe Page then pioneered craft brewing outside of the US when they opened a brewpub in Buenos Aries, Argentina in the late 90s. A few years later they returned to the US and began planning Colorado Cider. 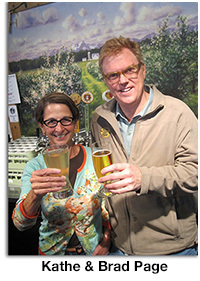 The state’s second commercial cidery and the first in the Denver area, Colorado Cider opened its tasting room doors on November 11, 2011. The Pages have worked to enlighten Colorado consumers about hard cider and have paved the way for future cider makers in the state. The company’s modern take on its historic beverage includes a mix of traditional creations and inventive, boundary pushing ciders. 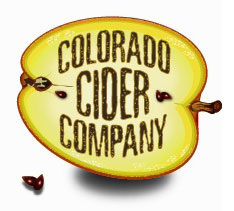 Colorado Cider’s creations include Glider Cider, Glider Dry, Grasshop-Ah, Pome Mel and others. They are distributed in Colorado by Elite Brands. A recent expansion at Colorado Cider has enabled the cidery to triple its annual production capacity from 25,000 gallons to 75,000 gallons. The company’s 2013 sales were up 150% over 2012. Kelly Reitan is Colorado Cider’s head cidermaker. She is a Colorado native and one of very few female cidermakers in the US. Please visit HomebrewersAssociation.org for additional information about the rally or ColoradoCider.com to learn more about Colorado Cider Company. Woodchuck Hard Cider is excited to announce the release of two new products, which represent the craft cidermakers’ commitment to both innovation and their passionate fan base. Woodchuck Cellar Series Mint is the most recent cider to be released in the Cellar Series line. Mint is handcrafted from fresh Vermont McIntosh and Irish bittersweet apples. The twist turns up in the form of fresh mint as whole spearmint leaves are added to the tank a week before bottling. Spearmint oils slowly permeate the tank, leaving a subtle mint note on top of the full apple taste. Mint has a 6.9% ABV and is available nationally through May. For more on Mint and the other ciders of the Woodchuck Cellar, visit the Woodchuck Blog. Woodchuck is also introducing its popular Summer Seasonal in a 12-ounce can. The cider, which features an infusion of blueberry, is also available nationwide in a 12-pack format. These ciders represent a great transition happening in Vermont. The snow, ice, and cold are receding, making way for warmer days ahead. Additionally, Woodchuck will also be opening a new state of the art cidery soon. Details about the project and the official opening will be revealed in the months ahead, but to check the current progress, visit the Woodchuck Construction page. 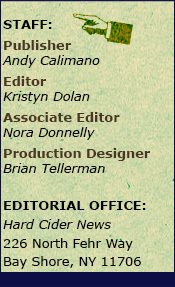 For more information about Woodchuck Hard Cider, please visit Woodchuck.com. Tieton Cider Works has released both their Precipice Perry and Blossom Nectar Ciders just in time for the season change. Both ciders are fresh and floral—the perfect toast to spring—and became available in April at local retailers and restaurants in eight states. Precipice Perry is a limited release cider made with the traditional Perry pears grown on Tieton’s orchard—the largest orchard of Perry pears in the nation. 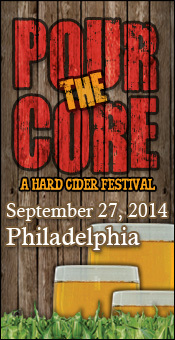 Tieton is one of the few true Perry producers in the US, and will release just 300 cases of the cider this year. The Perry cider is similar to champagne—dry and brilliant—and the sweetness of the fruit is countered with citrus notes. Last year Precipice Perry received accolades from SIP Northwest and in 2012, it won a gold medal at the Great Lakes International Cider & Perry competition. 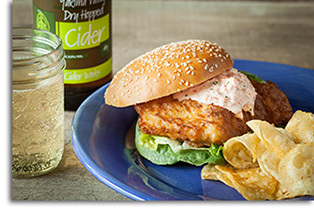 It also won a first place ribbon at 2010’s Vashon Island Cider Fest. Precipice Perry is perfect for celebrating, with subtle notes of st rawberry brought to life in the brilliant cider. Sold in 750ml bottles for $19.99, Perry has a 5.5% ABV and 1.2% residual sugars. The Blossom Nectar Cider is bright and sweet—just like biting into a fresh apple. A nose of honey, vanilla, and melon is followed up with a cleansing acidic finish. “The inspiration for this cider came from the beauty of our orchards layered with luscious blossoms in the spring, the sweetest form of an apple,” says Sharon Campbell, co-owner of Tieton Cider Works. This medium-bodied crisp apple cider won a silver medal at the 2011 Great Lakes International Cider & Perry Competition. Sold in 500ml bottles for $7.50, Blossom Nectar has a 7% ABV and 3.8% residual sugars. Tieton Cider Works is available in Washington, Oregon, Idaho, Nevada, California, Alaska, Illinois and Texas. Visit TietonCiderWorks.com to find stores near you or purchase the cider online. Johnny Appleseed, a new, refreshingly sweet and intense hard apple cider with a crisp apple bite, arrived on store shelves nationwide early April. Inspired by the legendary adventurer and storyteller, Johnny Appleseed Hard Apple Cider was created for anyone with a thirst for adventure and a story to share, and it was crafted to complement life’s adventures. Like its explorer namesake, Johnny Appleseed Hard Apple Cider was created for — and by — those who believe life is about the journey, not the destination. More than 750 consumers (men and women 21-34 years old) from the U.S., Canada and the United Kingdom helped to co-design the brand, from taste profile to packaging. In development since 2011, Johnny Appleseed Hard Apple Cider is the first wholly new brand from Anheuser-Busch in eight years, and arrives at the perfect time for the fast-growing cider category. 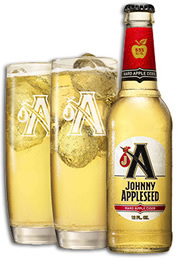 With an ABV of 5.5%, Johnny Appleseed is a refreshing hard apple cider best enjoyed on the rocks in a highball glass to bring out the full, crisp apple taste. Crafted in Baldwinsville, New York, it is made with apple juice sourced from apples in the U.S. and fine orchards around the globe, as well as cider yeast and other natural ingredients. Johnny Appleseed Hard Apple Cider is available nationwide in 12-ounce glass bottles with a twist-off cap in six-packs and 12-packs, and sold individually in 16oz. and 25oz. cans. Draught distribution will be available starting this summer. For more information on Johnny Appleseed Hard Cider, visit JAppleseed.com or check the brand out on Facebook. Check out the national television commercial that began airing this month on YouTube. 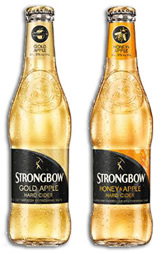 Strongbow Hard Cider, the number one global cider brand, according to Euromonitor International, announced the launch of Strongbow Gold Apple Hard Cider and Strongbow Honey & Apple Hard Cider. With over 125 years of cider-making heritage, Strongbow offers a distinct kind of refreshment from other ciders with these new flavors. Throughout Strongbow's history, the brand has remained committed to selecting the ideal apples for a perfectly balanced cider recipe. While many ciders tend to have an overly sweet taste profile, like the Fuji apple, or tart, like the Granny Smith variety, Strongbow offers something different. With refreshment at its core, Strongbow Gold Apple Hard Cider delivers a perfectly balanced, crisp apple taste that hits the "bull's-eye" by capturing the sweet and tart notes of the Golden Delicious apple, along with hints of Honeycrisp apple and pear. Strongbow Honey & Apple Hard Cider is a seamless blend of fresh apple taste and silky honey, a flavor new to the cider market. As the global leader in cider, Strongbow is never standing still, actively pursuing new product flavors in an effort to bring consumers the variety they crave. Extensive research in a Rogil 2013 Blinded Liquid Taste Test found that both men and women strongly prefer the new crisp, refreshing flavor profile of Strongbow Gold Apple. "Strongbow is perfect for those occasions when you're on a rooftop with friends on a warm, sunny day, kicking-off your afternoon plans, and all that matters is spending time together," said Charles Van Es, Senior Brand Director Portfolio Brands, HEINEKEN USA. 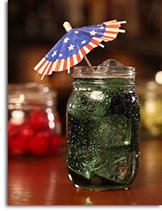 "It offers a different kind of refreshment that sets the stage for a great time, day or night." Strongbow consumers live their lives in a natural, effortless way, and appreciate authentic experiences and moments with friends. They love the outdoors but also love the city, where they seek their own 'urban orchards': places where nature meets the upbeat metro pace, and real conversations happen. From parks and patios to deck bars and street festivals, those urban orchard locations are meant to enjoy a Strongbow poured over ice. The launch will be supported through a mix of traditional and paid media, digital, PR, and experiential marketing. The brand will also carry out extensive sampling where legal with adults 21+. Since HEINEKEN USA acquired import rights in January 2013, Strongbow has been consistently improving trends and growing share in a category that is quickly gaining traction. As the global leader in cider, Strongbow continues to invest in the expanding cider category through new product innovation and upscale, lifestyle brand development. Nashi Orchards, located on beautiful Vashon Island near Seattle, Washington, opened their winery with the release of their Chojuro Blend Asian Pear Perry. After years of cultivating their Asian pear orchard and fine-tuning their wine making skills, owners Jim Gerlach and Cheryl Lubbert, decided to share their passion for fine handcrafted Perry. Perry, made for centuries in England and France, is similar to hard apple cider, but perry is fermented from pears. Asian Pears, also known as nashi, are native to Japan and other Asian countries and are crisp, sweet and juicy. There are numerous cultivars of Asian pear including Chojuro, featured in the Chojuro Blend. This Asian pear variety is known for its distinctive rum flavor and honey-orange color skin. Jim and Cheryl’s fruit is only harvested at the peak of ripeness and fermentation is carefully controlled to preserve the natural flavor and sweetness of the fruit. No additional sugars or flavorings are added to mask the delicate, neuanced flavor of the Nashi Orchards Asian Pear Perry. Nashi Orchards’ Perry is unfiltered, unpasteurized and gluten-free. Consummate foodies, Jim and Cheryl suggest the Perry be served as an aperitif or with Northwest oysters, halibut or poultry. Only available in Washington state, Nashi Orchards Perry can be purchased directly from the orchard or on Vashon Island at Minglement, Vashon Thriftway and Express Cuisine. In Seattle, it can be purchased at Full Throttle Bottle, Leschi Market, Beer Junction, Bottle House and Marjorie Restaurant. Jim Gerlach, a registered landscape architect, has a passion for plants, his orchard, their dogs, sheep and, of course, wine-making. By understanding the optimal way to support the trees in producing the most flavorful fruit, he is able to produce the highest quality and most flavorful perry. The perry’s success is also in part of the orchards tremendous growth after significant renovations over the last few years to increase the health and productivity of the pear trees. Jim and Cheryl formally established the orchards in 2011 and received approval as a bonded winery in the fall of 2013. 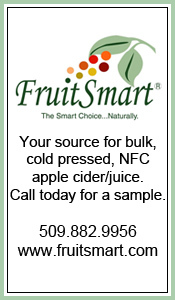 To learn more about Nashi Orchards, visit NashiOrchards.com, like them on Facebook or follow them on Twitter.